Vitamin E is a very important part of our daily diet. A naturally occuring antioxidant, this vitamin can be a helpful tool against oxidation. If you are not getting enough of this vitamin in your food, a supplement can be an excellent choice. 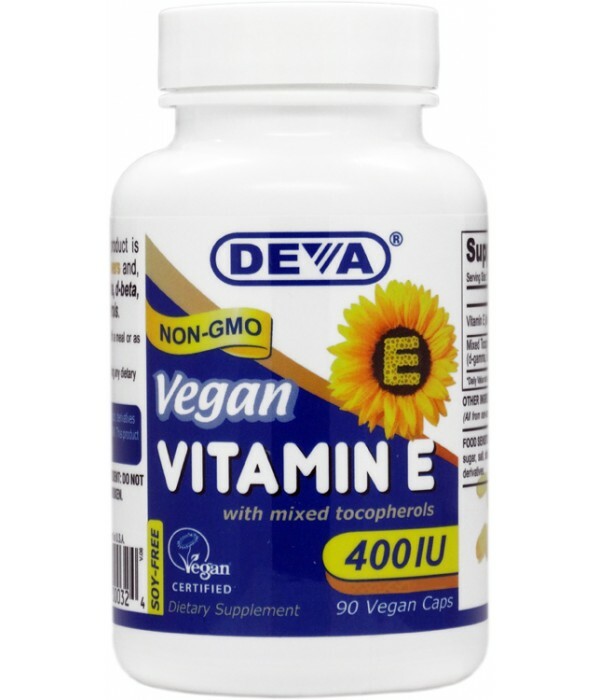 Our great supplement offers 400IU of Vitamin E with mixed tocopherols derived from a plant source (i.e. non-gmo sunflowers). There are a total of four different tocopherols that are present in our product: D-alpha, D-beta, D-gamma and D-delta, as opposed to the commonly found single d-alpha supplements on the market. If you are not getting enough Vitamin E in your diet, or if you feel that an additional supplement could help, taking a vegan 400IU plant source Vitamin E with mixed tocopherols can be an excellent idea. 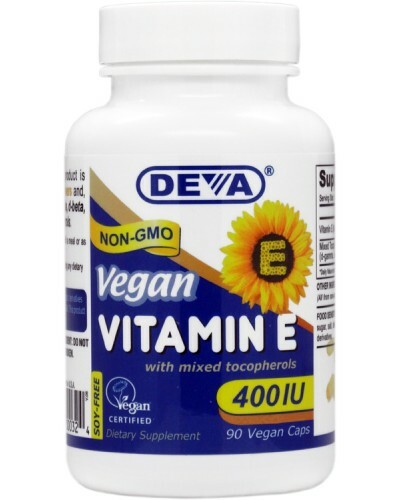 DEVA Vitamin E with mixed tocopherols is 100% vegan, vegetarian. In order to provide peace-of-mind to our consumers, our products have been registered by the non-profit Vegan Society. This non-profit organization, which first coined the phrase “vegan,” has a strict and detailed registration process for vegan products. Free of yeast, wheat, soy, gluten, corn, starch, sugar, salt, shellfish, dairy, egg; animal products, byproducts or derivatives.